Quickly and easily mounts on any UTV roll cage bar regardless of tube size or angle or the bar. Adjustable spline adapter allows the user to adjust the angle of the mounted equipment for optimal performance. Included bushings adapt the mount kit to common 2", 1-3/4", and 1-1/2" roll cage sizes. Securely connects your GPS equipment to your UTV reducing the risk of damage or loss while in motion. 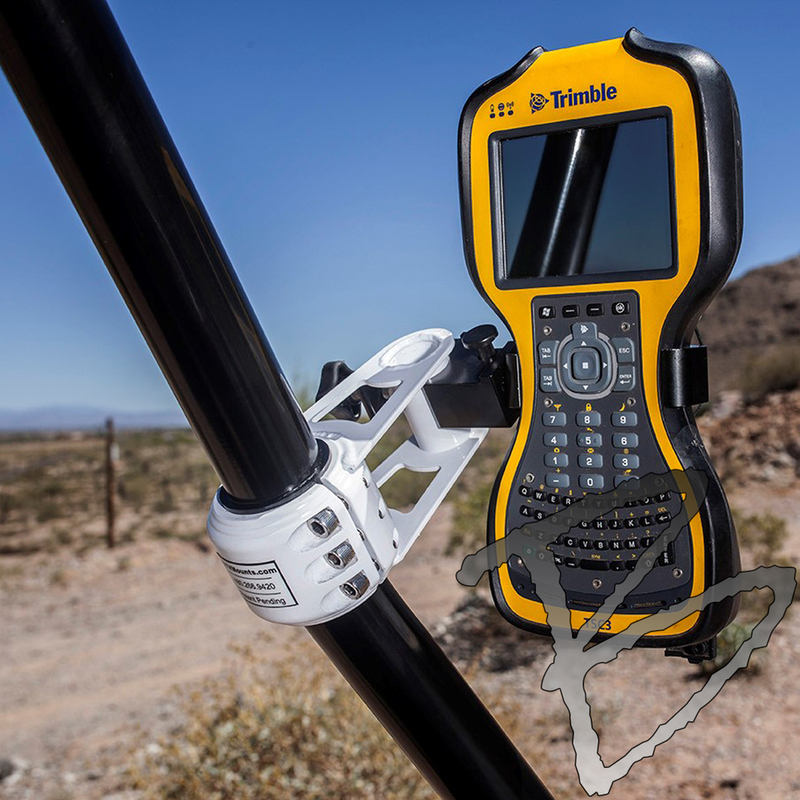 Optimized auto topo functionality with a fixed GPS height and secure connection to the UTV. 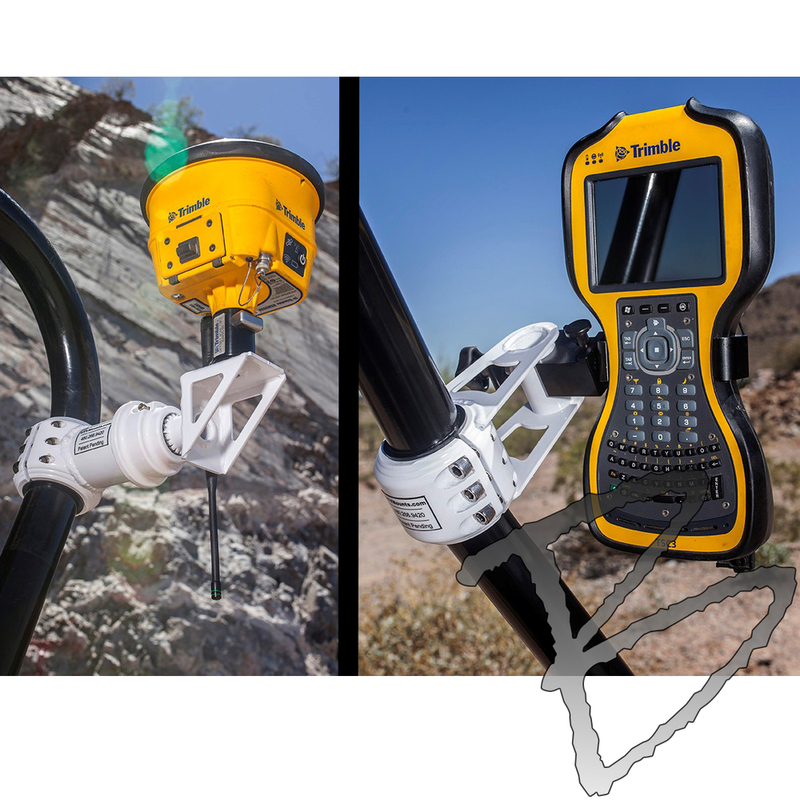 Data Collector mount assists in use of function from in the vehicle. Easily monitor auto topo data or stakeout information from the drivers seat while keeping your hands free. When using your GPS manufacturers' quick release, functionality between field operations with the rod and working from the UTV are seamless. 5/8” Universal thread for all GPS Manufacturer and quick release makes. Lifetime Warranty against factory defects. I purchased this mount 8-9 months ago and it has been rock solid. I initially purchased the side mount that holds your GPS pole as you drive but rattled a lot and seamed like it was rough on the GNSS head not to mention getting caught in tall grass. This unit is heavy and built out of thick steel and once mounted dose not move! The rubber sleeve dose a good job dampening the the vibration and helps when traversing across rough terrain. 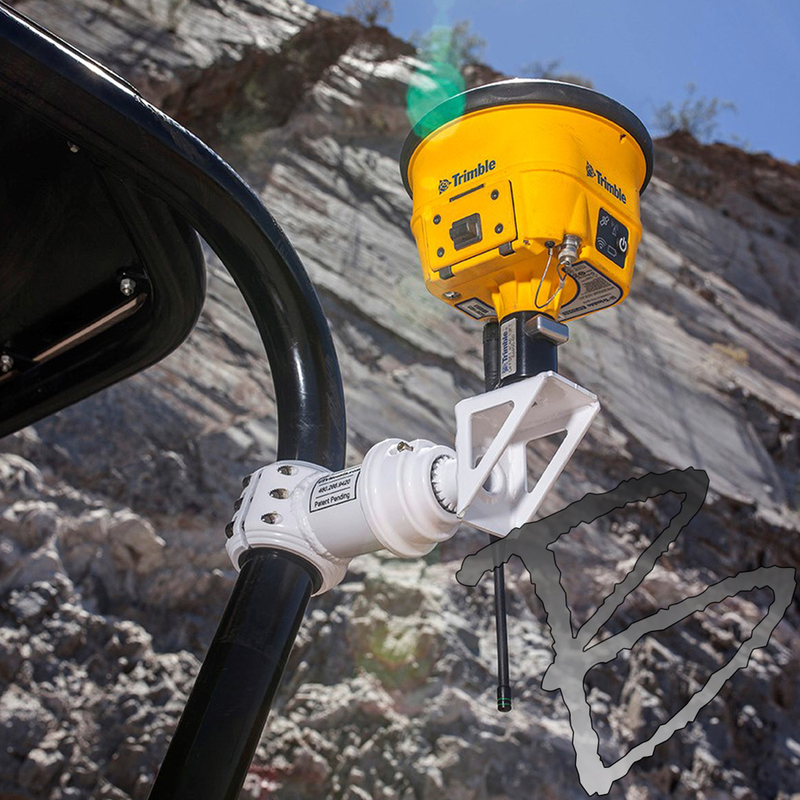 The data collector mount is make of the same steel and and works seamlessly. So far we have used this mount in the swamp a mine and in thick brush for both data collection and navigation. At first I was skeptical and thought I might be getting overpriced plastic for the cost, but after installing it and using it in the Florida swamps and fields, I can say I'm overly impressed with this mount and it is well worth the money.